When Dealing With The IRS, We Help You Understand Your Rights. IRS Penalties can be intimidating. Let us calm your nerves. We deal with IRS on a daily basis and are here to help you navigate the process. The IRS is famous for assessing penalties and interest charges on those who fail to pay their taxes on time or in full. Most people don’t realize, however, that the IRS often abates, or lowers, the more than 100 different penalties that can be assessed on you personally. The whole True Resolve team were amazing at answering my questions in a very timely manner. I was dealing with a Revenue Officer who wasn’t being very helpful. After hiring True Resolve I never had to directly deal with the Revenue Officer again and they handled everything from there and got me an affordable payment plan and were even able to reduce what I owed the IRS. Failure to File—If you do not file your tax return on or before the due date, you can be penalized with 5 percent of the tax amount for each month of nonpayment, maximizing at 25 percent if your return is not filed more than 60 days after the due date. Failure to Pay—This penalty can be imposed if you fail to pay the amount by the due date. The penalty is usually 0.5 percent of the unpaid tax amount for each month you do not pay your tax bill. Substantial Understatement of Tax—You can be imposed with a penalty if you understate your tax amount by more than 10 percent or $5,000. Negligence Penalty—This penalty can be imposed if you fail to comply with IRS laws, fail to carefully prepare your tax returns or fail to adequately keep your books to substantiate your filing. Civil Fraud Penalty—When you underpay your tax by means of fraud, you can be assessed a penalty of 75 percent of the unpaid tax amount. Frivolous Tax Return Penalty—The IRS can assess a $5,000 penalty if you file inaccurate or insufficient information with your income tax returns. Let us help you discover your options. It is imperative you know your rights and obligations when it comes to disputing IRS penalties because you may qualify for the certain types of relief offered by the IRS. The IRS has a few ways to abate penalties that have been assessed against you. The easiest one to obtain is what is known as the First-Time Penalty Abatement, which rewards taxpayers who have a good compliance history with the IRS. This type is an administrative waiver that applies to failure to file, failure to pay and failure to deposit penalties. In order to qualify, you must have a good history of filing compliance, payment compliance as well as a clean penalty history for the three prior years. This type of request is only granted one time to a taxpayer, and only for one year. The IRS may also agree to waive or abate other assessed penalties but only based on reasonable cause criteria. Reasonable cause is what the IRS looks at when a request comes in to have your penalties abated, and the burden of proving your case for abatement falls with you, the taxpayer. Explore your tax penalty abatement options with True Resolve. 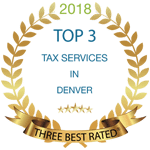 At True Resolve, our tax experts are ready to work on behalf of you or your Denver-based business to find relief for penalties assessed on your past-due taxes. We can help you understand your rights and navigate the complexities of the process to minimize your current tax burdens.